More forward progress today. Finished up some last details on the left back wall. Installed the aft observers seat, wall hooks, and put in a small bookshelf underneath the observer table. It is a unit I found at IKEA and painted to match. It is the perfect size for my slow growing collection of manuals. Next I painted the outer back wall of the sim. I went with a simple satin white that will be a good canvas for some decals I have planned - more details coming on that a bit later. 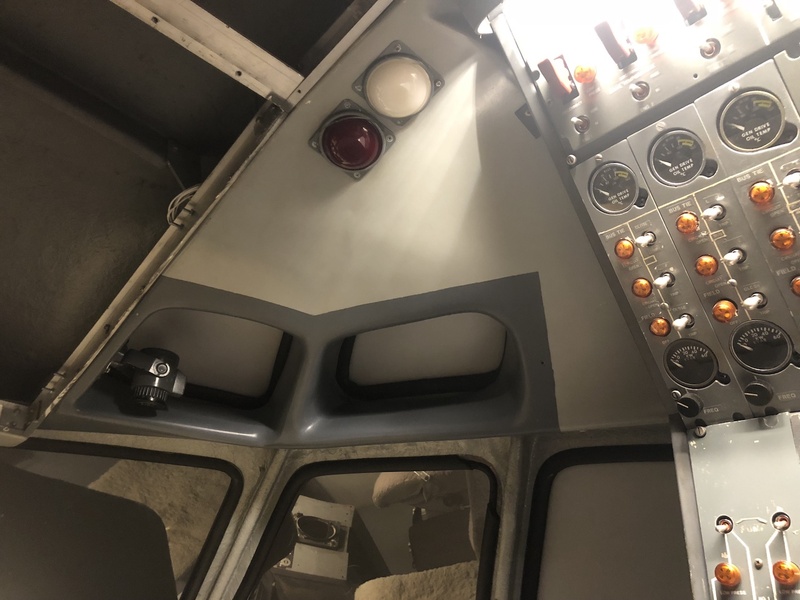 To the left of the door is the "Return to seat" light and below that is a cabin lighting panel that I have wired to control the light on the outside of the sim. The return to seat light will be wired to illuminate when the seatbelt sign is switched on via the overhead. This is also a pretty good picture to show how tight the shell fits in the room with the vaulted ceiling! A few more days gone by, a few more bits of progress to report. F/O side upper eyebrow trim is installed. Installed LED's in the original dome fixtures, and mounted the 28V original map light. Anxious to hook the lights up to power, but that will be further down the road. 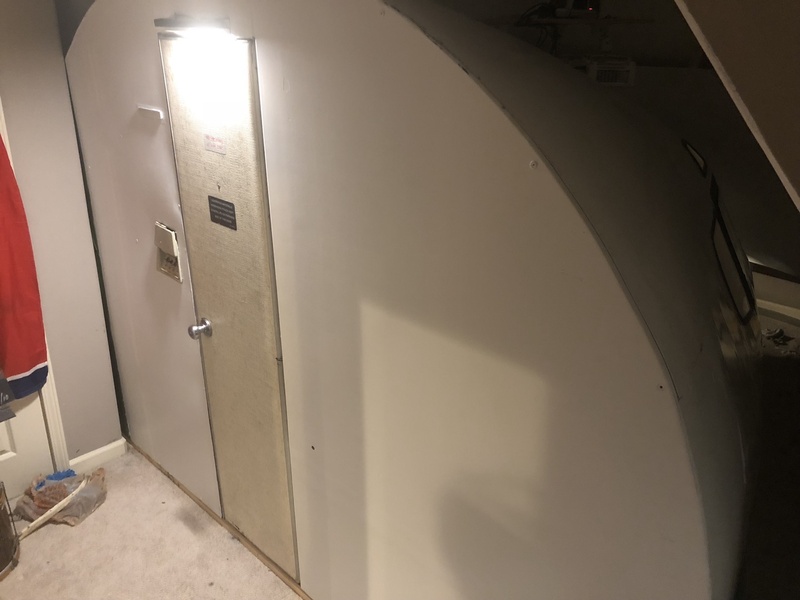 Hauled the F/E panel up the stairs and mounted up in the sim. Still a static display piece for now. I look forward to interfacing it later on. It did get a little love today though. I replaced the flood lighting with warm LEDs - hard to beat the low current draw and no heat! 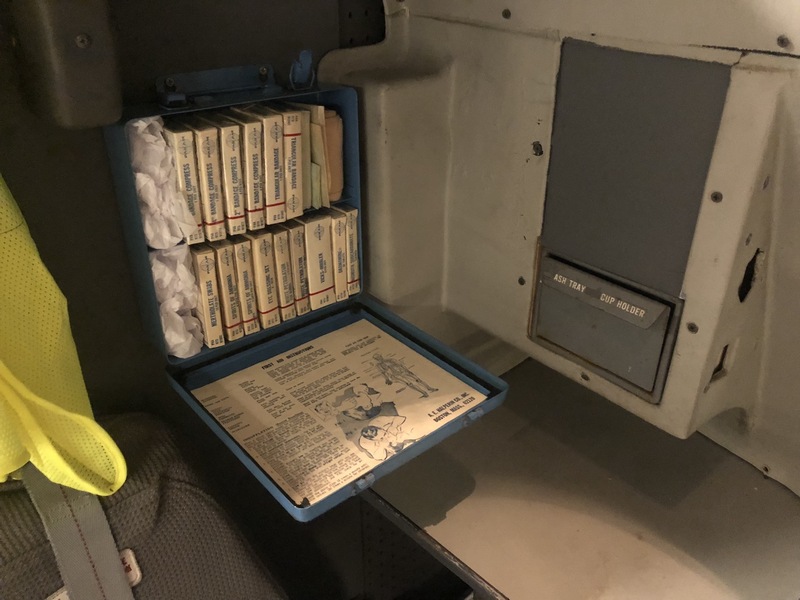 A fun item pulled off fleabay.. original Pan Am aircraft first aid kit. Mounted up nicely on the backwall and complete with 50 year old first aid essentials. Most likely the majority of time today was spent on a complete revamp on the project website and the creation of an Instagram page. 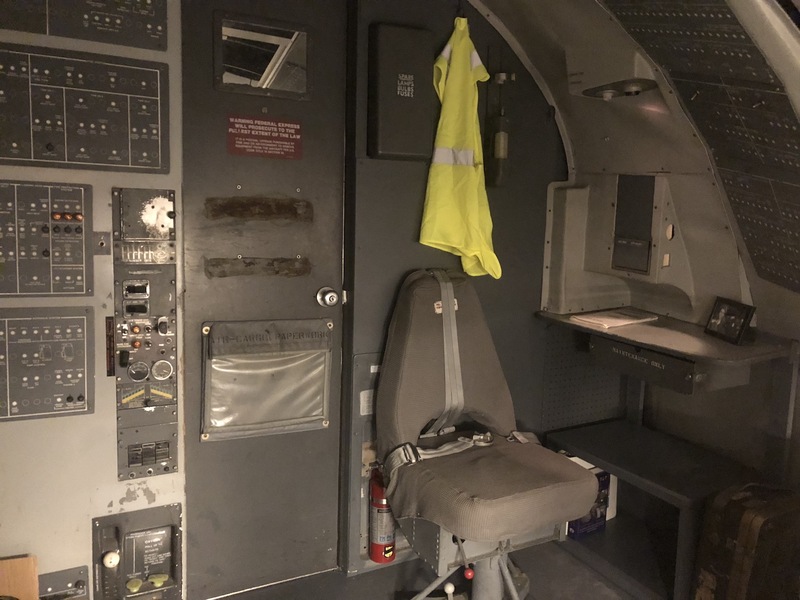 In addition, I've officially named the build "The Boeing 727 Legacy Project" as my goal is not only to build a functional cockpit, but to carry on the historical legacy of the 727. Other notable progress from today but with no pictures: I began tearing apart the throttle quadrant for a total overhaul. It will need a thorough cleaning, fresh linkages, pots, and some reconfiguration. I will make the electric trim wheels functional. Tonight I started work interfacing my Sperry SP-150 autopilot. Is your TQ a real one? What about the 2 bay ped behind it? The TQ is not real. It is the original unit from the CPT. That being said, it was probably the best piece of original hardware in the CPT so I've kept it through the years. The throttle levers themselves look and feel very good. The 2 bay pedestal is a pain though. It does not have dzus rails so I have to improvise a bit to make things work. Here's the only picture I could find from a few years ago when I had just installed the Opencockpits radios. These will be rearranged now with the SP-50 going in. Transponder will likely move to the center "CDU bay" (for lack of a better term). The original parking brake lever is MIA so I had to make do with a covered toggle switch. I haven't looked very hard but I'd like to find another parking brake lever one day. 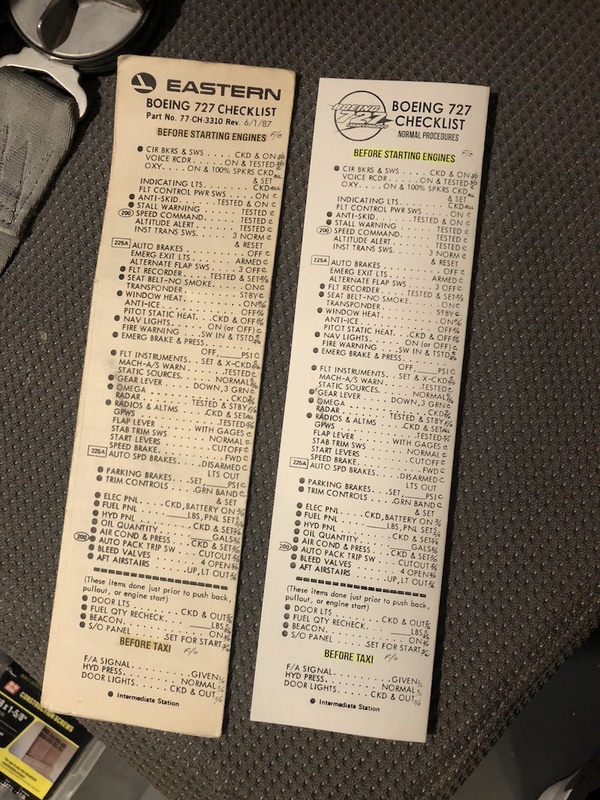 I acquired two Eastern Airlines 727 flight manuals, but the most exciting thing about them was the two tri-fold checklists that were tucked inside. I scanned these original checklists in, cleaned them up a bit, adapted them for 8.5"x 11" and customized with the project logo. We use tri-fold checklists at work and I really like the format. If any of you care to have the checklist, here's the link to it so you can print it at home. I printed using cardstock paper with a slight off-white tint for the vintage appeal. Simply print the PDF double sided and then tri-fold accordingly. Enjoy! 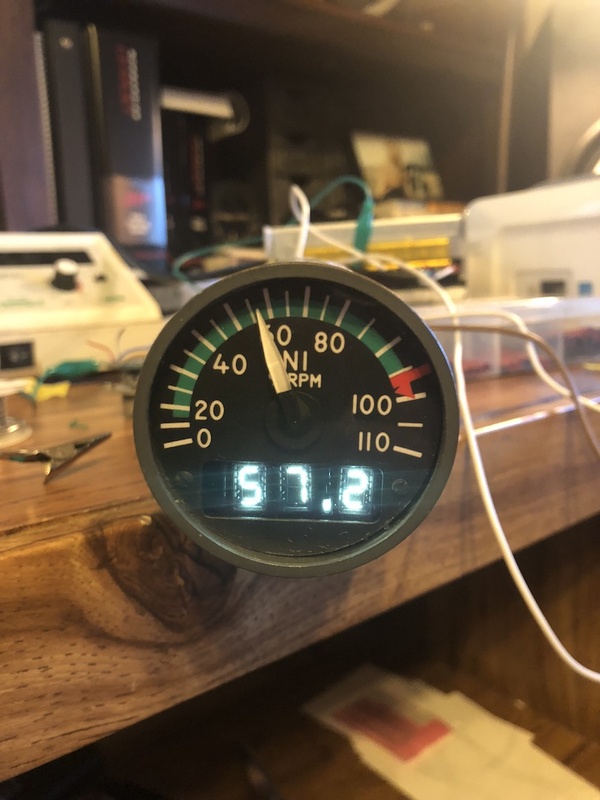 Milestone day, the first gauge working! Big thanks to Rob Archer for the pin-out. Very exciting stuff to see the needle and digits move on this gauge. I'm currently an Arduino idiot but there's only one way to learn something and that is to do it. I look forward to diving in deeper as I go along. Gosh, hard to believe it has been over a week since I checked in last. I have spent at least six hours every day working on the throttle and autopilot, with most of the work being on the latter. It is very slow going work reverse engineering parts that you have no schematics for. Here is the finished product of the fully rewired Sperry SP-150. All solenoids, switches, controls, and backlighting are functional. The only remaining step is to get everything programmed correctly in X-Plane. I removed 99% of the original wiring on the autopilot and started fresh. I will also leave it without the enclosure because I have limited space inside my pedestal. I am waiting on an arduino relay expansion module to control the lockout solenoids. For now they work with manual 24-28v power. 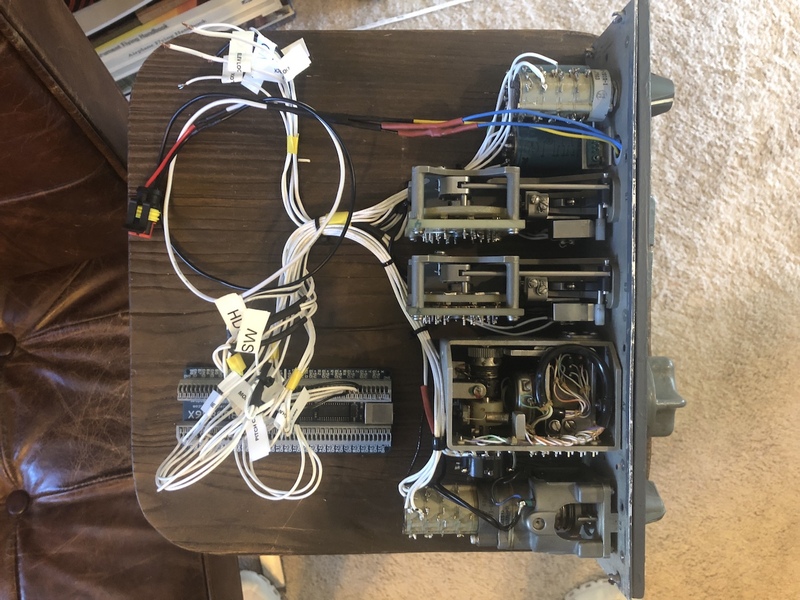 All switches and pots are wired to a BU0836X. The pitch control nose down/up and left right is recognized as a XY axis. I played with the autopilot in FSUIPC with P3D (for now, I know my way around this platform much better) and was able to fly around a little bit. Further tweaking and experimentation will be necessary, but for now I am pretty happy. The backlighting took some time to get right. The original backlight panel had the micro incandescent bulbs that are not cost effective to replace. All but one were burned out. I removed the backlight panel and installed 3mm warm white LED's into the original lamp locations of the front panel (a little hot glue is your friend). A few resistors and we are cookin'. I'm really pleased with the end result and LED's are always better all around. The throttle is slowly coming together. I took apart the linkages, cleaned and regreased them. I installed all fresh pots which was much needed. As you can partly see in the above photo, I'm slowly repainting the throttle bit by bit and installing fresh decals. I'm making these decals from scratch in Photoshop and will upload them on here when I'm finished if anyone wants them. Next steps will be rigging up the motorized trim wheels, trim indicators, and getting the throttle all buttoned up. That will be a big milestone. 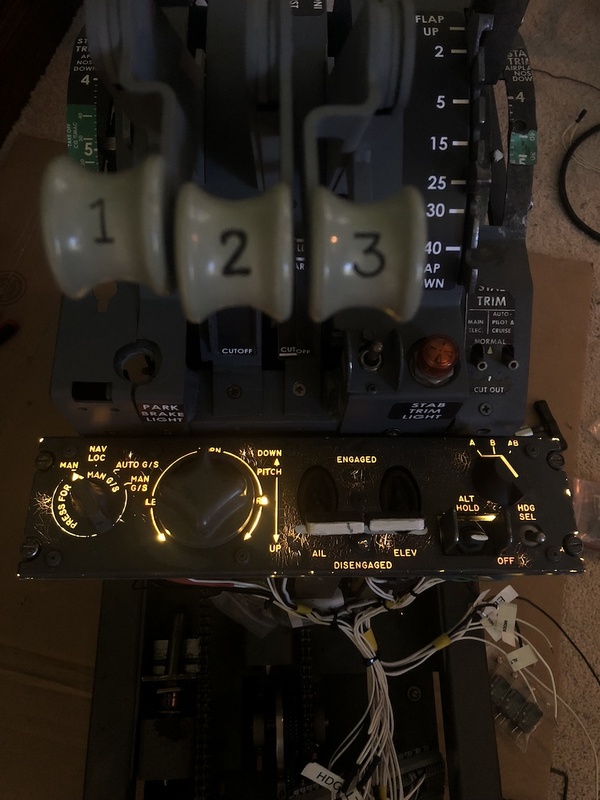 Of course, I'll be continuing to try and figure out arduino and X-Plane as I go along, because that logic will certainly be needed for the trim system. P.S. - someone sent me a message after I made my last post asking about details of how I have the N1 gauge interfaced with X-Plane. I for the life of me can't find the message now, but to clarify, I do not have the gauge talking to X-Plane YET. I am just using the arduino as a signal generator for now. I am greatly looking forward to getting the signal from X-Plane as I gain more knowledge of arduino. Very interesting and informative thread Will. I agree there are dozens of YouTube videos of "look what I can do" content, that are about as much use as a chocolate spanner. It's comforting to see someone actually offering to show how it was done. So you've joined a fraternity of many like minded fanatics that all suffer from this terrible simulation sickness. For future reference if you need to replace a backlight circuit, you can get a copper clad board of .8mm thick and isolation route it to accommodate SMD LEDs and resistors. You will of course need a small CNC machine to do this, but for many of us that's an essential component for sim building. Also the cost of these machines is very small when you compare some of the prices that commercial vendors charge for after market components. 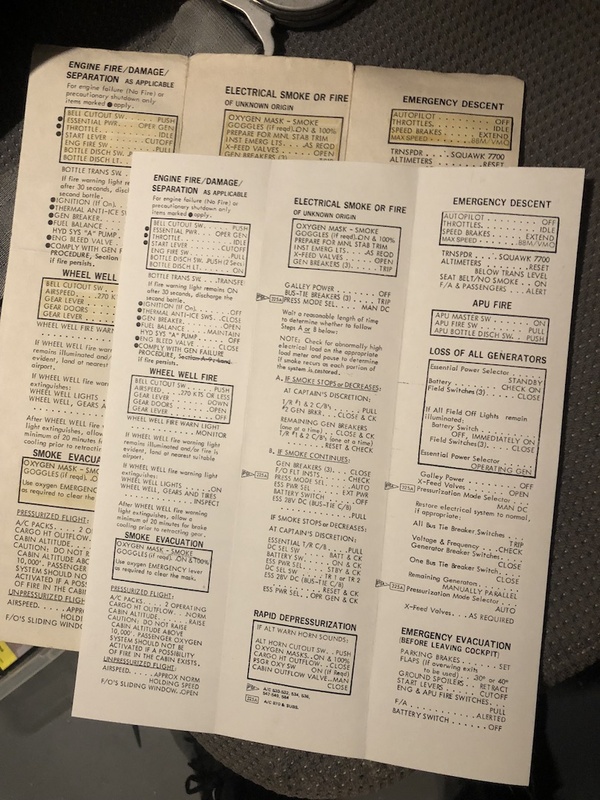 I've attached a pdf of the throttle labels, not sure where I got these from or who created them but they might save you a bit of time. They are NG I believe. Keep up the good work Will, I look forward to your next installment. 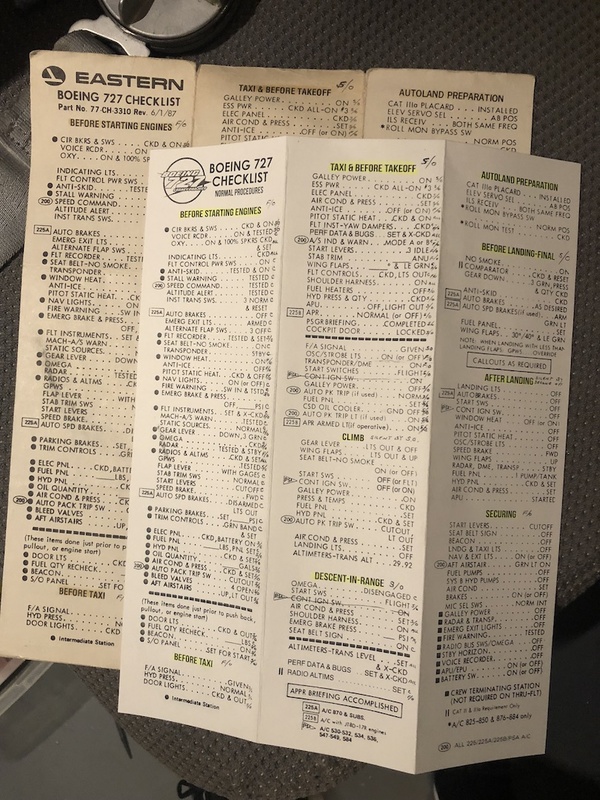 On a recent business trip to DC over the ADS-B Mandate with the FAA, I took the liberty of writing a cleaner version of the EAL 727 Checklist. Granted, I couldn't exactly duplicate the font of the EAL Checklist, but I think I got it pretty close. If you need the Word version - I'll be glad to forward it your way. I'm watching an old Delta 727 systems ground school on YT. 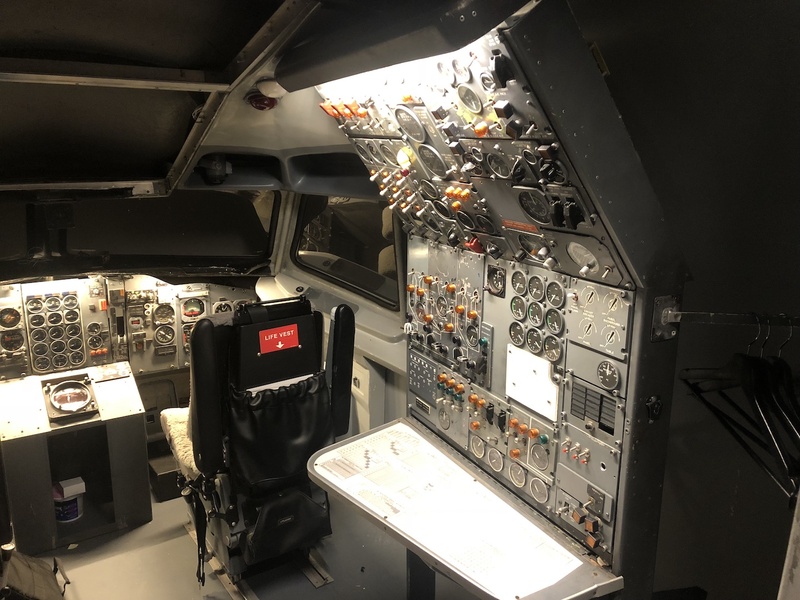 I got my aircraft dispatcher certificate on the 727 so I knew the systems on that beast once - its a good refresher. Wow Doug! That is great work, I cannot imagine how much time that must have taken you! You did a great job. I'd love to have that Word doc as well. Also I think that checklist font is pretty close to a Milspec font. Bebas Nue seemed to be a pretty decent match for the bold titles. Again, great work - highly commended!!!! John (blueskydriver) 3D printed me a glareshield checklist holder. Great work!! Still need to bolt it down but its a great fit. Thanks again, John!! Nice checklist holder! I am waiting for mine to popup in my mail. Hi Will! Nice work on your 727! 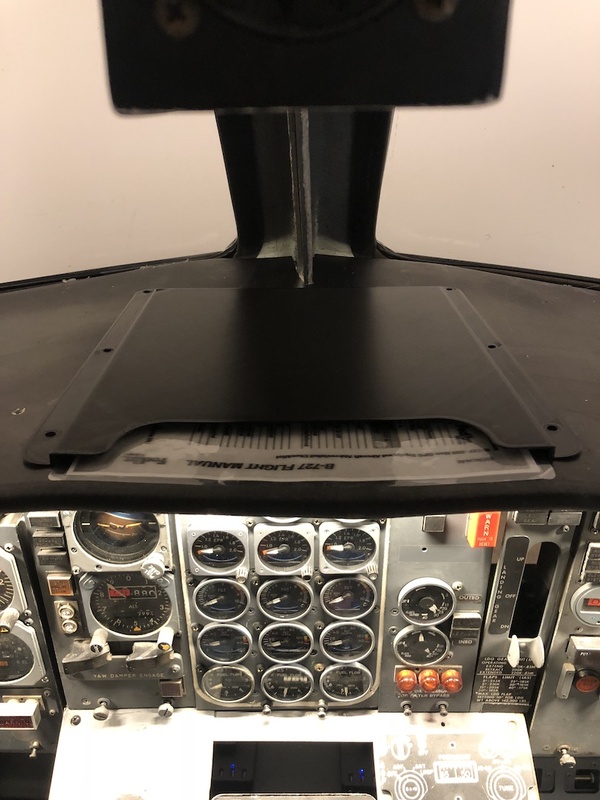 I was hoping to track down an old 727 “floor model” sim (older generation sims that had limited motion) that made it’s way to Embry-Riddle many years ago. It did not seem to stay there long, as I saw it sitting in a salvage yard after 9/11. I heard it was purchased by a local firearms training outfit with the intention of being used in an FFDO training course, but that never transpired. The sim was sold again, apparently for scrap. What a shame. I simply did not have the money when it would have been available to me, and besides I was sweating weather my airline would soon be gone and with it my job. Now that I have the wherewithal to actually do this project, the parts are getting hard to find and expensive, but with some patience and perseverance it will proceed! That cpt you have is sweet! I will be following your build closely! Page created in 0.907 seconds with 25 queries.